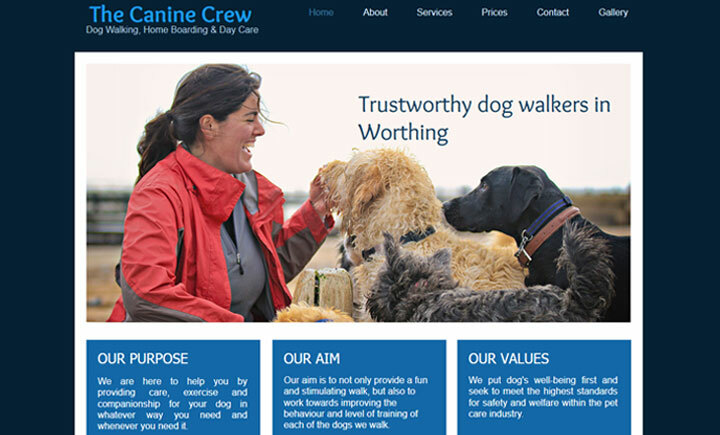 Based in Worthing, West Sussex, The Canine Crew provides dog walking and boarding services for local dog owners. Established in 2008, The Canine Crew caters for all dogs and offer individual walks, group dog walks, day care and overnight boarding. Group walks are one hour long and are suitable for sociable dogs in good health that have reliable recalls. On-lead runs are 45 minutes long and are suitable for all energetic dogs, especially those that cannot be safely let off the lead. Individual walks are suitable for dogs needing one to one attention, older dogs who need to walk at a gentle pace, or any dog that isn’t comfortable being around other dogs. Our van is custom fitted with cages so that every dog has their own space to lie down while in transit.